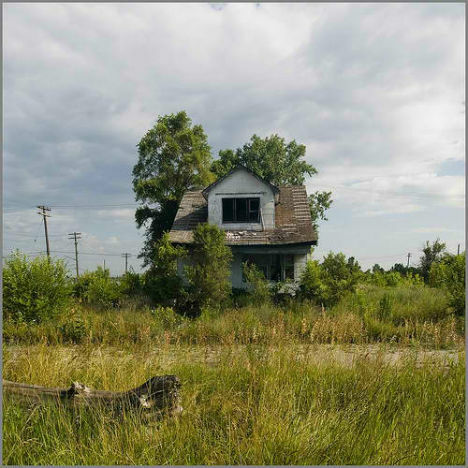 The word ‘feral’ has a dark and unsettling connotation: wild, dangerous, likely to turn on you at any moment. 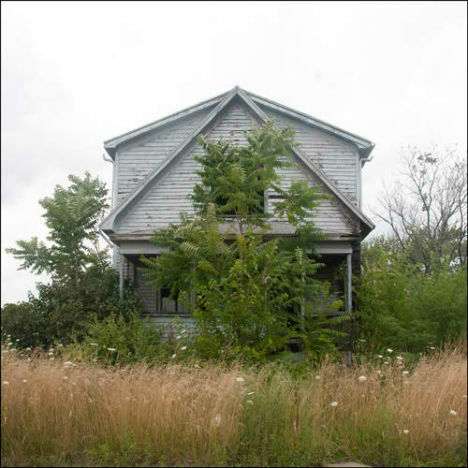 The word is most often applied to domesticated animals that have reverted back to a wild state, but urban explorer and photographer James Griffioen applies it to inanimate objects: abandoned houses. 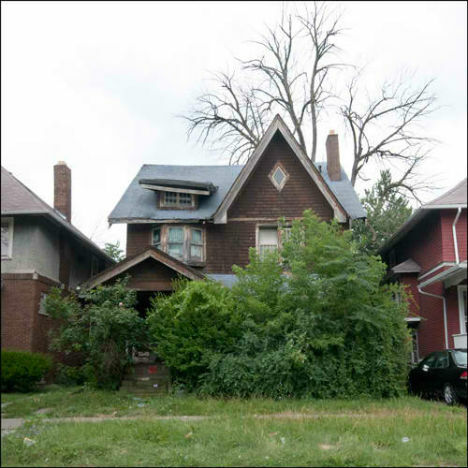 Specifically, the many vacant and decaying homes in Detroit that are being completely overtaken by nature. 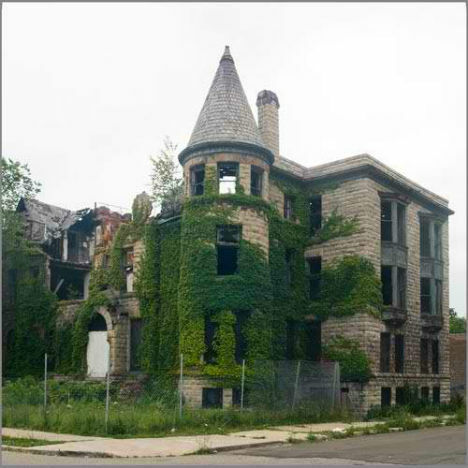 Detroit is renowned for its striking deterioration, with as many as 10,000 abandoned structures at any given time. 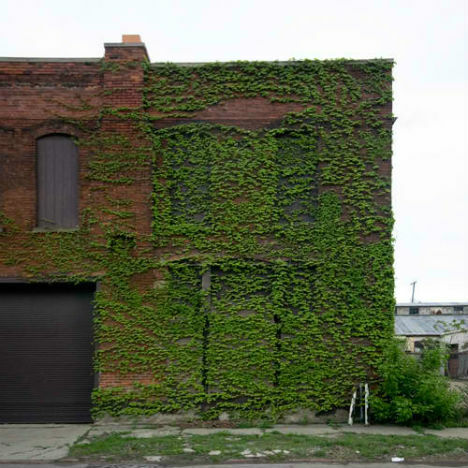 A city of modern ruins, with everything from theaters to automobile factories given over to death, it’s also still the 11th most populous city in America, which makes for quite a study in contrasts. 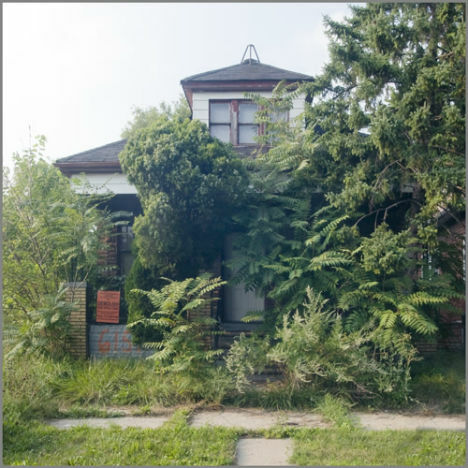 Griffioen’s images capture dozens of Detroit homes, many still showing the stately promise of their past, nearly all in the process of being swallowed by the untamed trees, shrubs, vines and grasses that proliferate all around them. 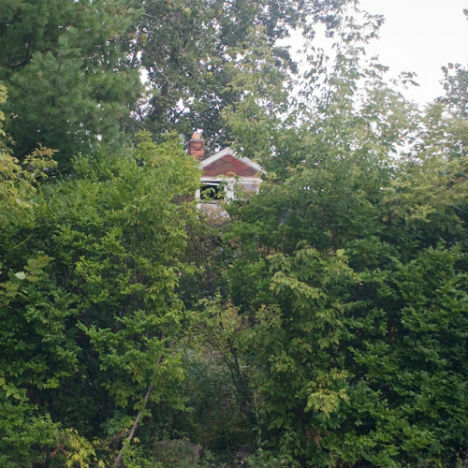 See many more photos at JamesGriffioen.net.